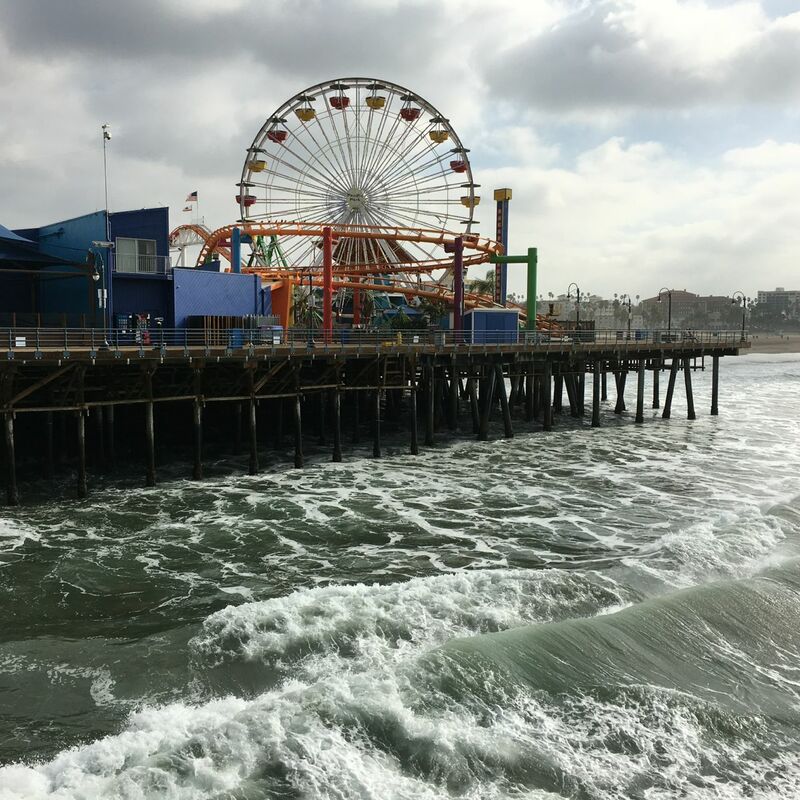 The iconic and historic Santa Monica Pier was fairly quiet when my son and I made a quick visit on a Saturday morning this past January. 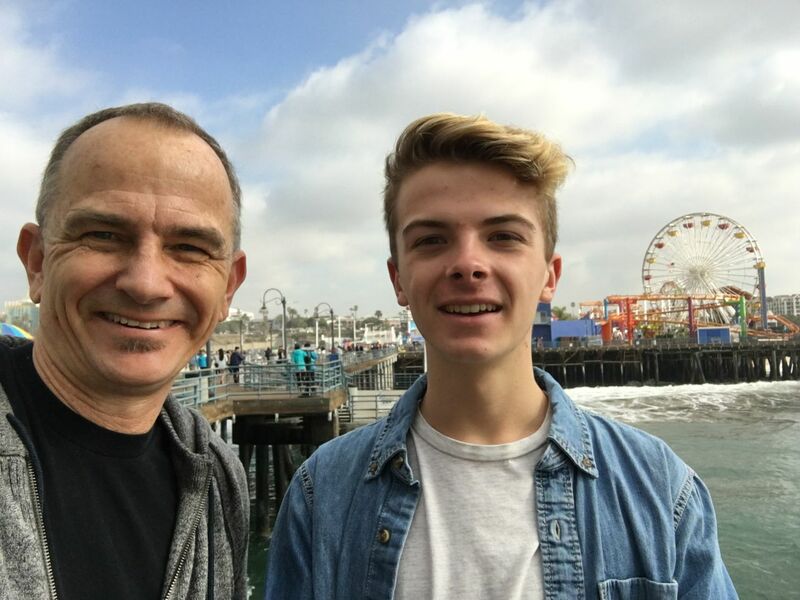 We were in Los Angeles for a father / son weekend to celebrate his 16th birthday. We visited the Santa Monica Pier multiple times when he was younger and we lived in L.A. - so it was fun for him to come back and walk around. We walked to the end of the pier and back. 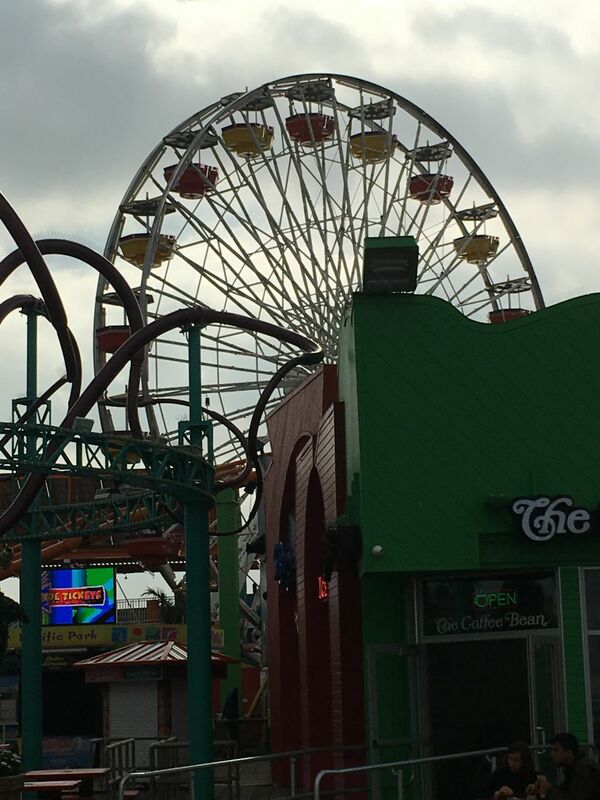 As it was 10am, the ferris wheel, like all the other rides, weren't opened yet. There were a lot of other things we wanted to see and do in Los Angeles - so I time at the Pier was pretty short. Parking costs, but otherwise the pier is free. The little amusement area is called "Pacific Park." The individual rides can get pricey - it's a much better value to buy their unlimited ride wristband and make a day (or at least an afternoon or evening) of it. Years ago my wife and I took our kids there for the day, went home to have dinner, and then came back again for the evening. 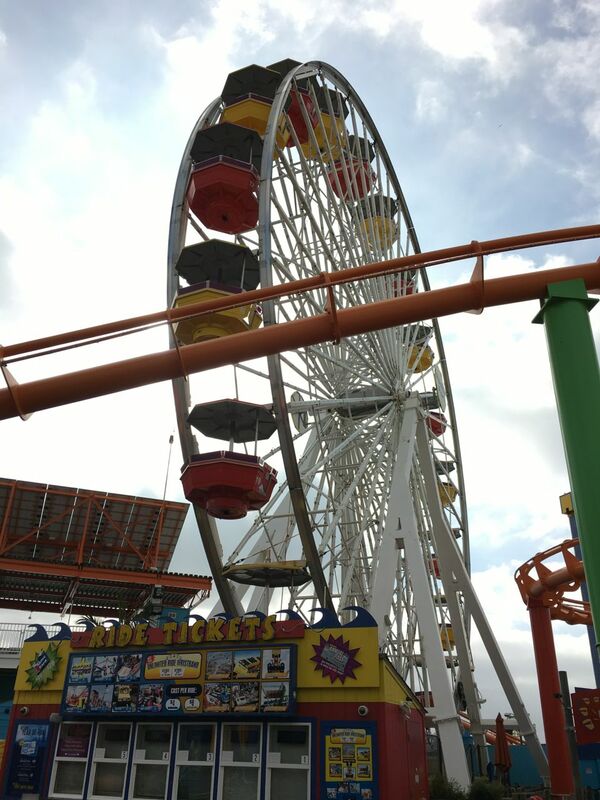 The ferris wheel, as well as the little roller coaster, offers some outstanding views of Santa Monica and the Pacific Ocean. 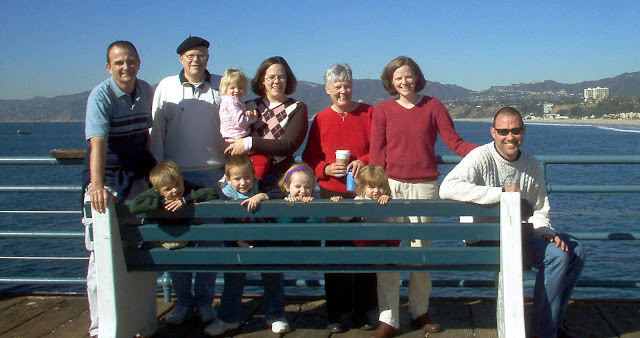 Here's a vintage photo of my wife, kids and me - plus our extended family - back in 2004. This was in late December, a couple days before Christmas. Except perhaps summer weekends (especially in the afternoon when trying to find a place to park is nearly impossible) there's really no bad time to visit the Pier. 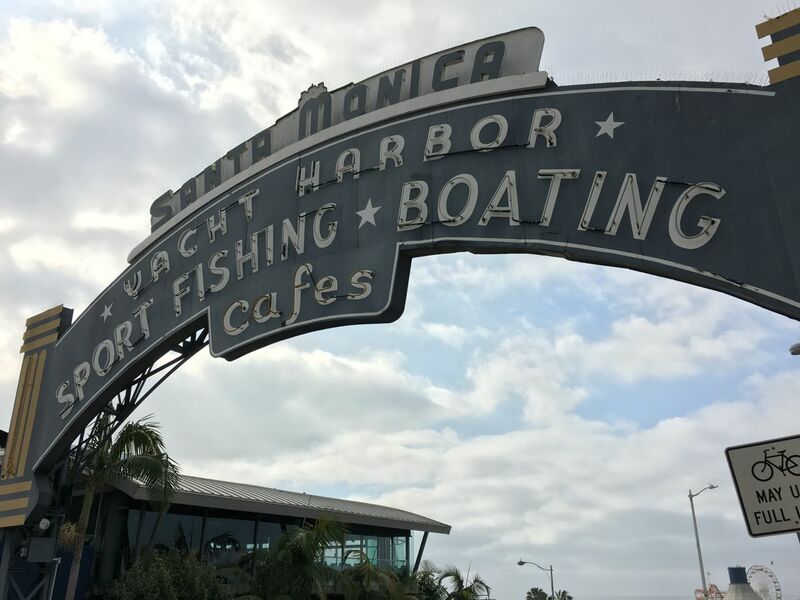 This is the historic welcome sign at the entrance to the Pier. Yes, at one time there really was a "yacht harbor" - but the winter storms of 1982-1983 put an end to that. In fact, those same storms ended up destroying about a third of the Pier. Fortunately, the Pier was eventually rebuilt .... and continues to be a draw for locals and visitors. Including my son and me. Next stop: Third Street Promenade. 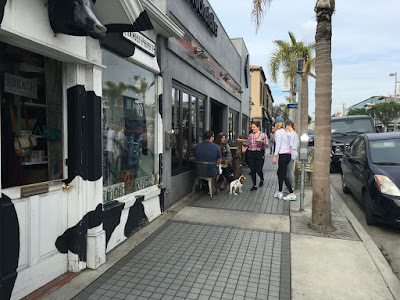 Spend any time with this site, you'll begin to notice that some favorite places in Los Angeles get highlighted again and again and again. 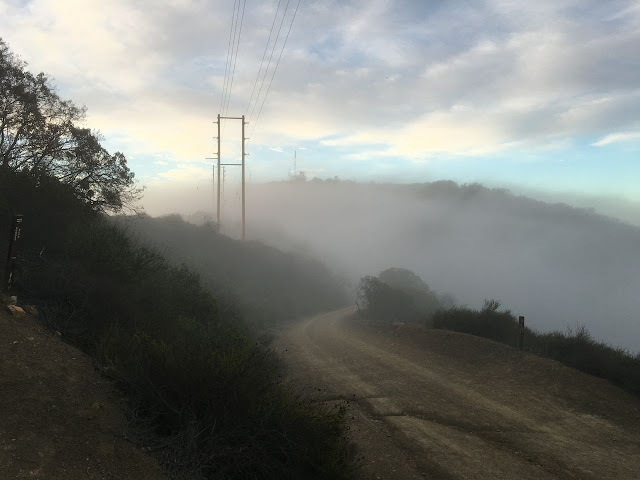 One of those "favorite places" in the Upper Temescal Canyon Ridge Trail. 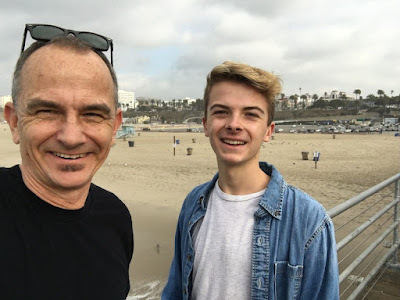 My son and I were back in Los Angeles last January to celebrate his 16th birthday. We drove down Friday evening and spent the weekend at some of our favorite - and some new - places. 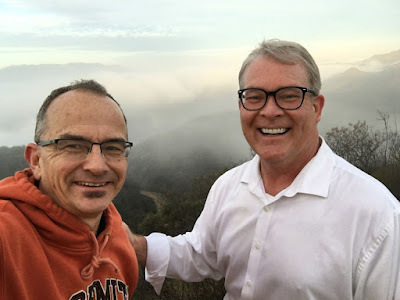 Saturday morning I met up with a friend from our church in Los Angeles for an early morning hike along the Upper Temescal Canyon Ridge Trail. 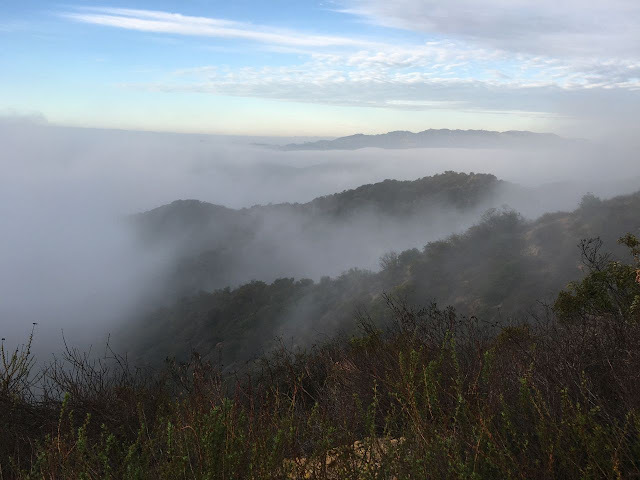 My apologies for repeating myself again and again and again - but I really believe the Upper Temescal Canyon Ridge trail is simply the best hike in Los Angeles. 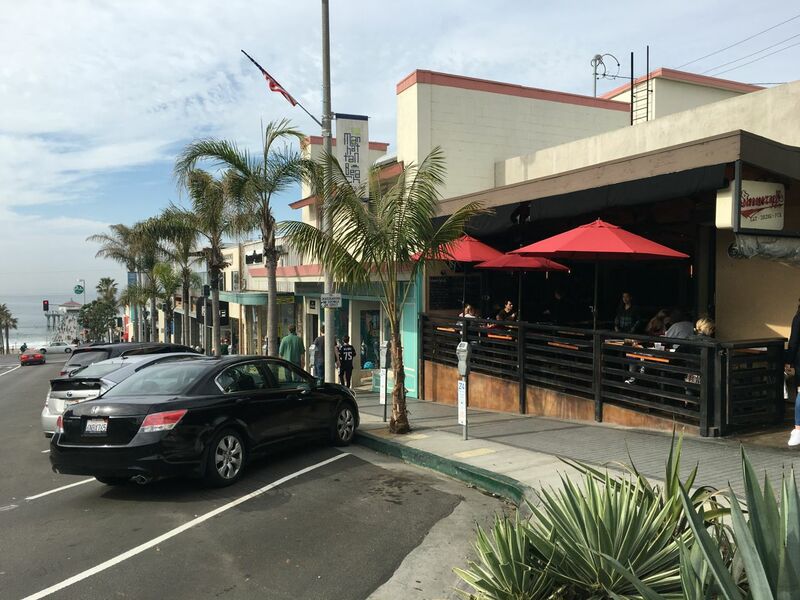 Upper Temescal is located entirely within Los Angeles City Limits. 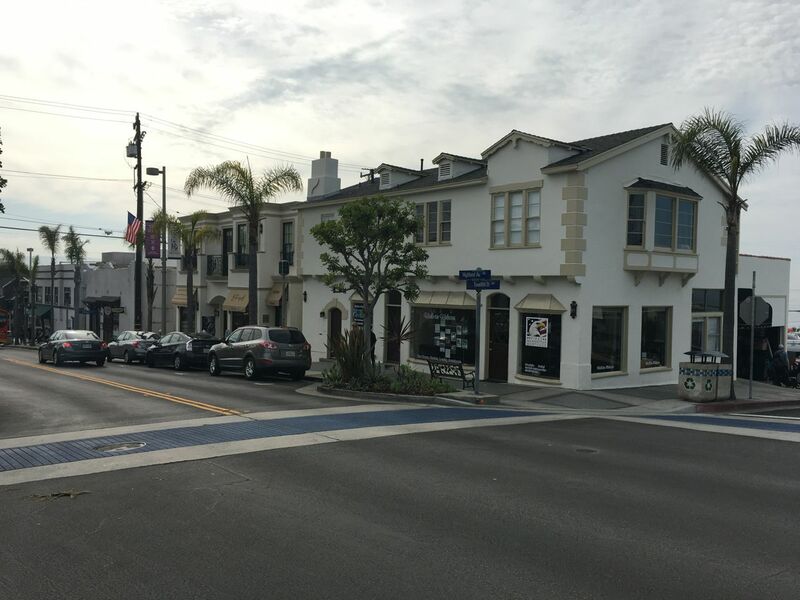 The trailhead is a quick 8 minute drive north of Sunset Blvd and the PCH in the Palisades Highlands neighborhood of Pacific Palisades. 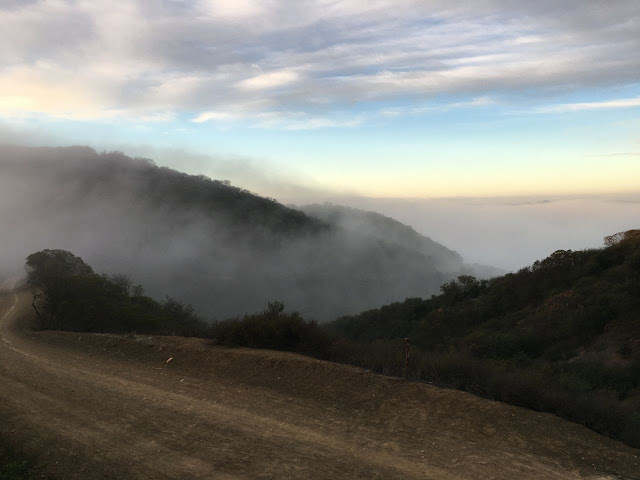 Los Angeles is the second largest urban area in the US - yet between 6:30am-7:30am on a Saturday morning we didn't see a single other person on the trail. Incredible. Yes, it's a bit of a drive if you're located anywhere east of the 405 freeway, or in the San Fernando Valley, etc. 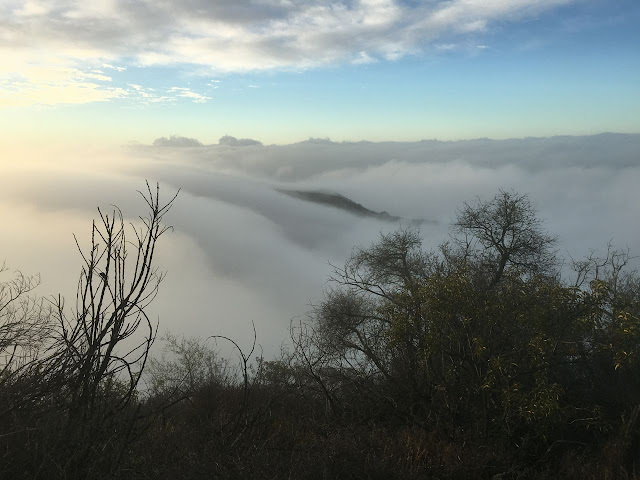 But the Upper Temescal Canyon Ridge trail has it all: incredible views of Santa Monica Bay and Los Angeles basin - all the way from Santa Monica to downtown Los Angeles. Or, in our case, beautiful fog creeping up the canyons. You'll occasionally see deer or other wildlife, and can enjoy incredible solitude on the edge of Los Angeles city limits. And it's a fire road - giving everyone a bit more space while hiking - or mountain biking. And there's no crazy elevation gains. Here's a link to the location of the trailhead, and some additional information from a previous post. Once again, the ebb and flow the the coast fog made for some outstanding views. My buddy Jim. We've been friends since the late '70's - and I've lost track how many times we hiked this trail together. "As iron sharpens iron, so one man sharpens another" wrote King Solomon. I appreciate the chance to connect and pray and build into each other's lives. Yes, grown men really do ask about each other's lives and pray for each other. Even in Los Angeles. Even in 2016. A quick final view. 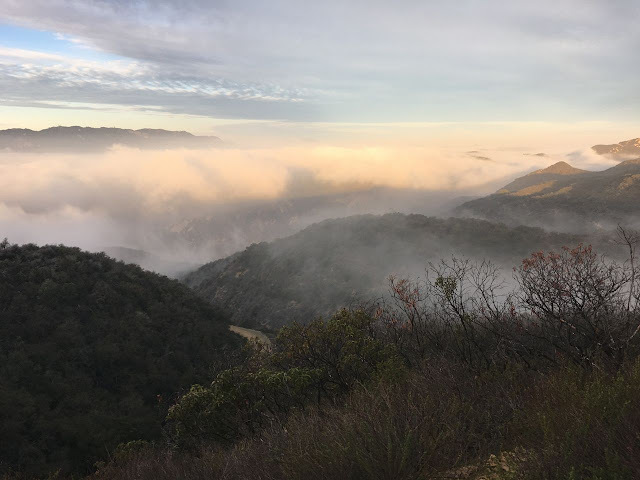 Here's a couple of links to some previous posts of this same hike: first with very striking views on a clear Fall afternoon, and then the same trail shrouded in coastal fog on a Spring morning. Good way to start the weekend. My son appreciated the change to sleep in a bit before a big day of getting out and seeing the city - and I appreciate the chance to experience this corner of Los Angeles and connect with a long time friend. More next time. Last January I was in Manhattan Beach, having breakfast with a fraternity brother from UCLA. As we move into summer, I thought this would be as good a time as any to post these photos. 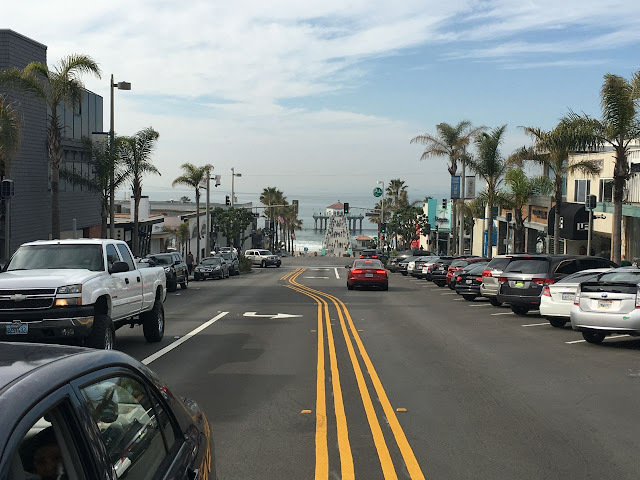 Above, Manhattan Beach Blvd as it ends at the Manhattan Beach Pier. Here's a link to Part I from last week. Despite the headaches of traffic, crazy home prices, and everything else that comes with living in Los Angeles, these photos are a reminder of why the area continues to lure people from around the world. Above, people enjoying breakfast outside - in January. In was Saturday morning, and lots of folks were out and about. 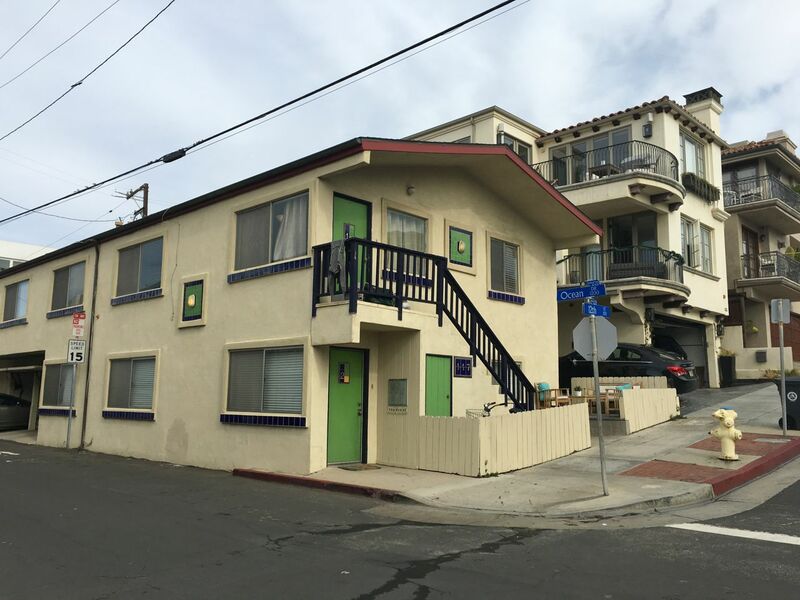 Most homes and small apartment buildings were 2-3 stories tall. Homes are packed in. Translation: your front yard is Pacific Ocean down the street. Pretty awesome. 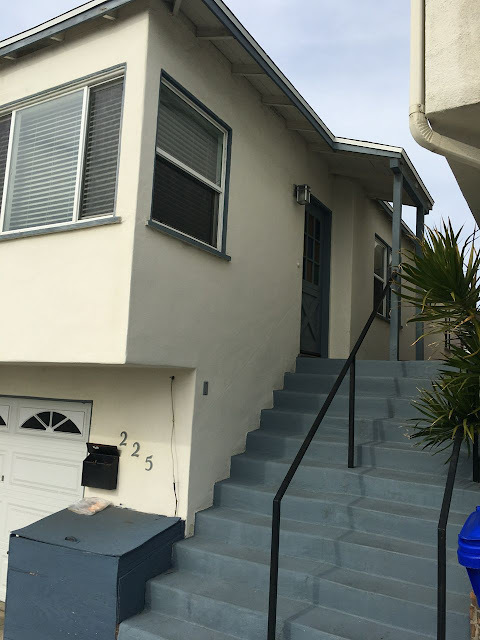 Walking around a bit after breakfast in the area near the Pier, this apartment building felt so typical of old-school Los Angeles. The very simple architecture, the stucco exterior. 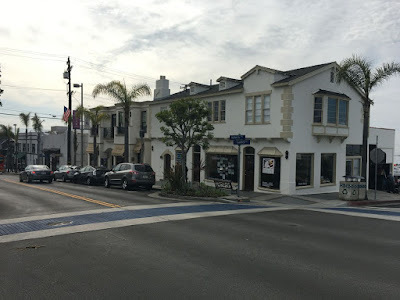 There are thousands upon thousands of buildings like this in greater Los Angeles. LOVE, love this shot. Apparently, I'm not the only one. 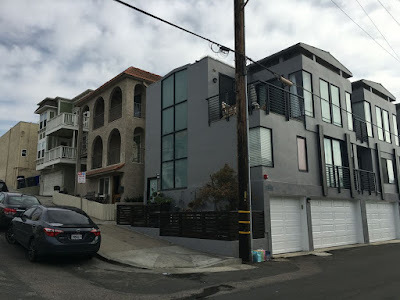 These are multi-million dollar homes, out of my (and most everyone else's league). Fortunately, the beaches are public and are open to everyone. 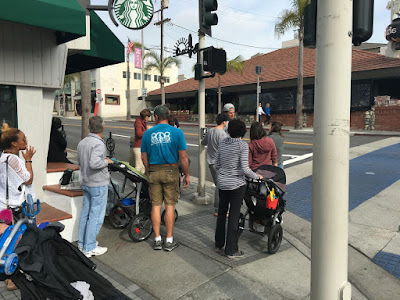 California has strict ordinances regarding public access. Every beach up to the mean high tide are - at least in theory - open to the public. 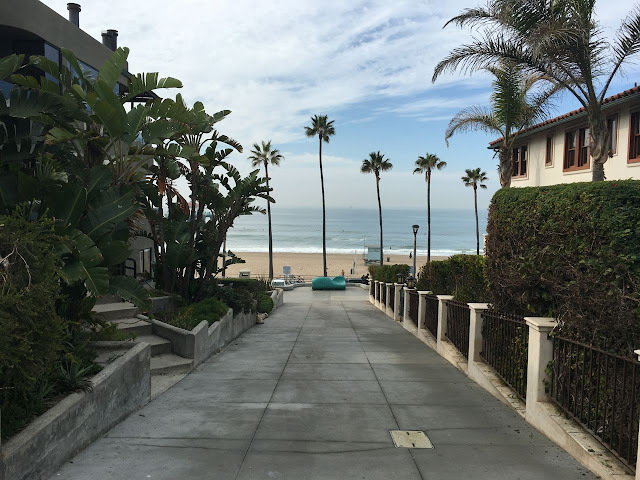 No problem in places like Manhattan Beach. A bit more complicated in places like Malibu. 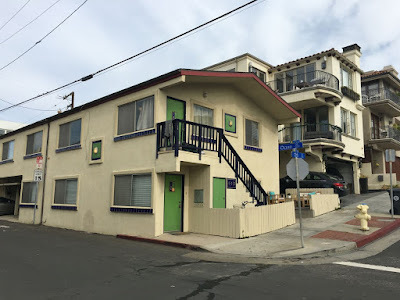 Another "old school" Manhattan Beach apartment building, with a newer building next to it . More new development. 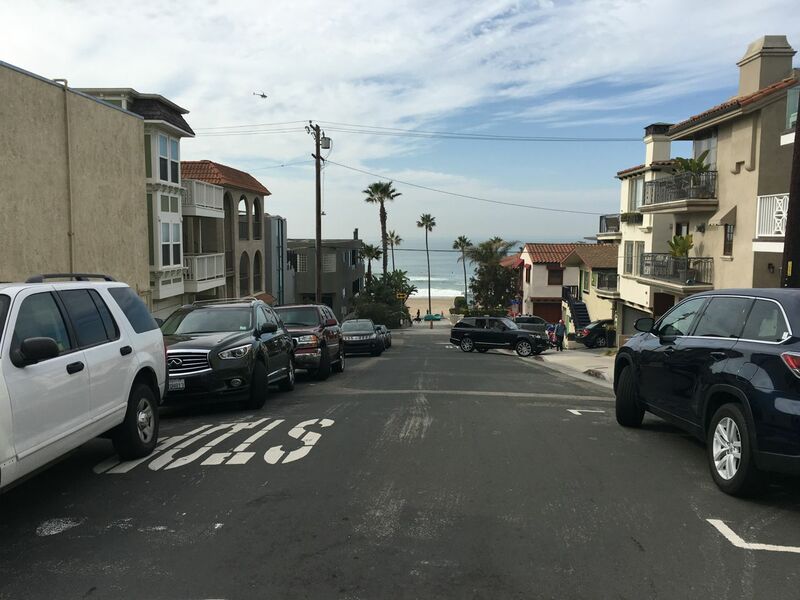 All this is very typical of Manhattan Beach, at least the blocks near the beach. Folks having breakfast outside - in January. In theory, you can go skiing and surfing in Southern California in the same day. No, I've never done it, at least on the same day. I've tried skiing and surfing - I'm not great at either. The closest my wife and my kids and I got was stopping at the beach in Santa Monica before driving up to the snow. That was fun. 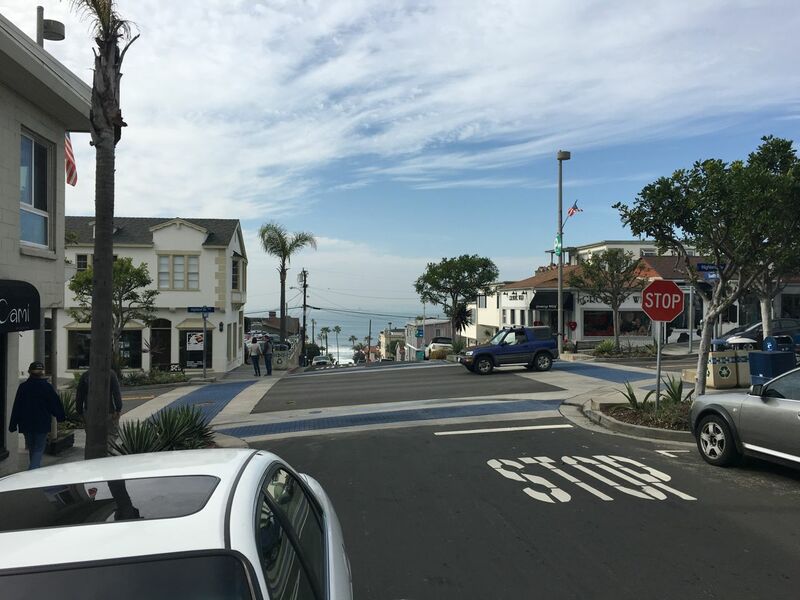 Another shot of the business district of Manhattan Beach. Unlike Newport Beach or Huntington Beach (in Orange County) or Venice Beach (in Los Angeles County), Manhattan Beach has a gently slopping hill from the beach that continues for a mile or so into the community. This allows many more homes to have a bit of an ocean view, and makes the ocean visible, even from a mile or so away. This being Los Angeles, at the edge of the communities small downtown is the obligatory parking structure. Boy, is this old school. But, hey, it still works. 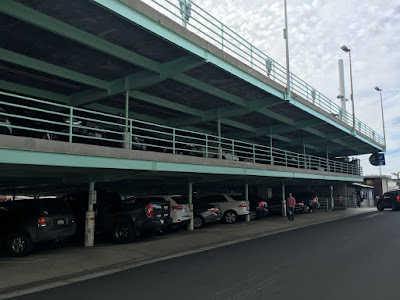 While it may not be the world's most beautiful parking garage, it's a welcome sight on a busy summer day - and you're looking for a place to stick that vehicle. I like the expression "work hard, play hard" .... but unfortunately it leaves out that critical - and often missing - third component: rest. How about: work well, play well, rest well. Maybe not as catchy, I know. Hope your summer involves all three - work, play, and rest. At the beach - or not.